Just kidding. There’s no doubt in my mind that having the opportunity to host The Northwest Georgia Music Hour on 95.7 The Ridge has been a true life highlight. The amount of time I’ve enjoyed meeting kind, talented people and enjoying their craft is immense. That is a great joy. Nonetheless, I’m reallocating my schedule and passing the keys over to Matt D and Stu McFab, who will share duties of hosting the show. To them I am forever grateful because I believe wholeheartedly that the show is valuable to the Northwest Georgia musical community. And they are great friends who also believe it. 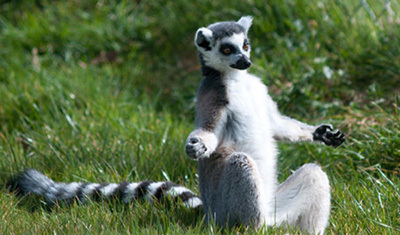 With that being said, check out this lemur. Thanks to everyone who listens and has a natural interest in what the show is about, music from Northwest Georgia, plain and simple. Please tell your friends about the show and go out and see local musicians even if there is a small cover to get in. Chances are it will be well worth it. To listen to any of the archived shows you are welcome to stop by the MullinsMania Radio Archives. And make sure to thank Stephens Music Company for sponsoring the show! Also, MullinsMania.com isn’t going anywhere so drop by whenever. Thanks! Posted in Uncategorized | Comments Off on So long, suckers!! You are currently browsing the The Rumpus Compendium blog archives for June, 2015.